Beautiful, strong-willed Alainn O'Brien believes her elusive father is the only person who can rescue her from a dangerous predicament. 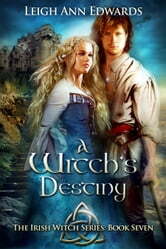 Alainn and her husband Killian follow her clairvoyant intuition and embark on a journey to Scotland. They meet numerous magical beings, spirits, gods, and people on the side of both benevolence and darkness as they search for the one person who holds the key to their futures. First book I have read by this author and first book in the series. Good characters, description and setting from Ireland to Scotland. Will have to look up the rest of the series. Ebook from netgalley and publishers with thanks. Opinions are entirely my own.